For decades, INTEGRIS has made cutting-edge medicine available to all Oklahomans and brought with it a long history of firsts, from the state’s first burn center and heart, lung and kidney transplants to one of the nation’s first proton therapy centers. Now we’re bringing Oklahoma an unprecedented first: a collaborative relationship with the world-renowned Mayo Clinic. INTEGRIS physicians can now work directly with Mayo Clinic physicians and scientists on complex diagnosis and treatment plans, ensuring you always have access to the latest medical knowledge. Learn more about this exciting announcement- another first for health care in Oklahoma. Hear from INTEGRIS physicians and patients as they talk about the benefits of the Mayo Clinic Care Network eConsult. OKLAHOMA CITY – INTEGRIS and Mayo Clinic announced today that INTEGRIS has joined the Mayo Clinic Care Network, a national network of health care providers committed to better serving patients and their families through collaboration. INTEGRIS is the first health care organization in Oklahoma to join the network. 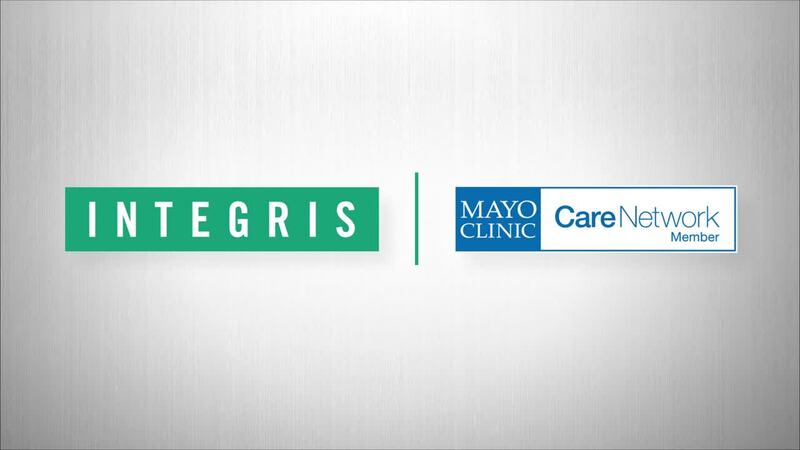 The formal agreement gives INTEGRIS access to the latest Mayo Clinic knowledge and promotes physician collaboration to benefit patients. Through shared resources, more patients can get answers to complex medical questions — and peace of mind —while staying close to home.